Beginning on October 1st, The Nester will be hosting a “31 day” event where bloggers choose a topic and blog about it for 31 days in a row. Whew! Just in case you’re wondering how in the world anyone could keep up with it, the posts are intended to be short and sweet. I have decided to participate this year, and I’m so excited about the topic I chose! I’m going to be offering FREE printables for your Home Management Binders! I have been wanting to update my personal binder for a long time, and I thought this would be the perfect opportunity to get moving on that project. Every day for the month of October, you will find a new printable for your binder. I’ll begin with the cover and take it all the way through to the end. Obviously, not all of you will need every single page, but you are welcome to print out those that apply to you and build your binder right along with me for the next 31 days. At the end of each post, there will be links to all the other pages in the series (in picture form), so if you come along after the start of the series, you’ll be able to find all the printables easily. Will I be posting anything else in October? You bet! I have some other posts planned, and they will be scattered throughout the month. If you follow me by email, some days you may get two emails if I post twice. Be sure to check both of them because they will be different! 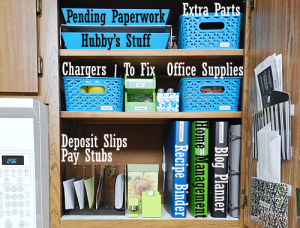 I hope you’ll join me on the challenge to build a new and updated Home Management Binder! I just started working on my Family binder – It’s a project. Thanks for the printables! Any ideas for me the best way to put this together? Ok I am so excited! I just started a home management binder but it’s no where near complete. I was so excited to see this!! My binder is put together, but kind of haphazardly and I’ve been wanting to re do it. Can’t wait to see what kind of printables you have! Thank you!! So excited to read your series.. .I am doing one too… mine is 31 days of fitness. I the idea, just hoping I get all my posts in… plan on getting a head start tomorrow so that if I get busy some are done already! Wonderful idea, Ginny. I need to re-vamp my binders as well. Thanks so much for your willingness to share with others. Will be grabbing your button and sharing all over the place. Looking forward to reading your posts daily. Hey I am also doing the 31 days of……. fall activities. Come on over and check it out!!! I just recently found your blog and have been following through google reader. I love your posts!! Awesome idea!! I’ve added your button to my blog. Looking forward to reading your posts!! My plan for the winter was to pick away at creating a home binder. Looks like I will be starting early 🙂 Your button is on my blog and I will be checking in daily. Thanks in advance for the printables! OMG…I am so excited! My household binder is in desperate need of a re-vamp. This is perfect, thank you so much for offering the printables. I grabbed your button and added it to my blog. Also, your blog is great. Very helpful!!! i’ve be reading about & wanting to do this for awhile now. I’m so excited to finally do it & to see your great new printables!!! I have been putting this off for so long! This is the perfect time and reason for me to finally get this done!! Looking forward to the 31 days project and seeing the new printables. Love your blog. I am so excited about the new folder/categories for our organizers. I like to have a good way to check track of the important days, events and happenings in my life. Thank you so much for the information on ways to do it and keeping track of. Always love learning new things. Oh, what a great series! My binder needs some tweaking, too, so I can really start using it! I’m looking forward to following along. I love that you chose a topic that will help you, but in a way that helps others too! I’m definitely following you this month! I am new here and followed from the 31 Days linkup. I love your blog and just happen to be revamping my binder as well as putting up a course to teach people how to make these household manuals for the Mental Health Association in my area. 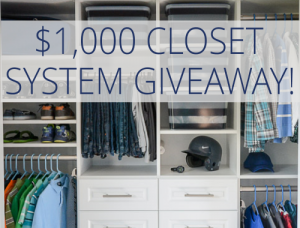 I hope that by peeking in on your progress I might get inspiration for this project as well. I look forward to seeing your work, as its always fun to peek into the minds of homemakers all over the world. I think its one of my favorite things to research… there are sooooooooooooo many household binders out there these days. I am also doing the 31 days this year. Mine is about homemade household solutions. I hope you come over and check it out. Perhaps you will find something to use in your home. Awesome! I am also doing a 31 day series: 31 Days to Building a Cleaning Routine. I’m excited to read your series. I’m subscribed by email so I can follow along. Good luck this month! I’m pretty excited at the idea! I am torn between an 8 1/2 x 11 size binder and a 5.5 x 8 1/2 binder for my main household binder. The main reason for my agony of indecision (and I mean agony, procrastination, frustration, printing both types of pages, trying to reformat, even crying) is that the smaller size is much easier to handle on the small space of desk in front of my computer monitor, fits in my canvas bag to take to doctor, grocery shopping, out-of-town, isn’t as heavy and awkward, and just looks cuter. But, it also doesn’t hold as much as the large binder. Most printables, hand-outs, forms are 8 1/2 x 11, and take-out menus, etc. usually take more room than a little binder can handle. JulieBee, you’re funny. 🙂 It sounds like you might want to just use a 12 x 12 and put some 8 1/2 x 11 pages in it (maybe in the front so they don’t get “hidden” by the larger pages). Maybe I could try to divide things that I will refer to mainly at the computer into the smaller binder and the larger binder(s) could hold recipes, warranties, kitchen appliance instructions, who knows what else. I bet you can tell that I do a lot of dreaming and planning and very little accomplishing around here. I have a To Do list I discovered from 2001 where I have 2 out of 20 things checked off. I still want to do most of the other things, except the kids have outgrown some of them. You are an inspiration to me and I’m going to make sure I decide on something and get started by tomorrow. 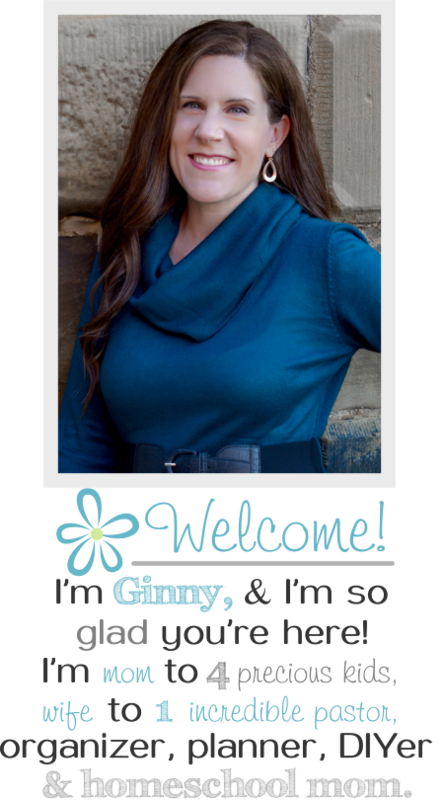 Thank you for your ideas and printables, Gina. JulieBee, two 8-1/2 by 11inch pages will fit on a single sheet shrunk to 64%. I hear what you are saying, those little notebooks are cute & they do fit in a purse much nicer! I have one of both. somethings you just don’t need to carry with you. For some pages you can just fold in half and punch holes in. can be time consuming another option is to buy sheet protectors made just that size from staples though can be a bit costly up front. I don’t carry my cleaning tasks for the day with me that is what I use my big planner for. good luck hope it helps! I’m like you — I love the ‘small half fold’ size pages that I can put into my night stand book and cross off or ‘add’ a note or two to my list. So I’m wondering if your printer has a Setting for Booklet printing? When you open any of the pdf files and click File, then Print, there should open a window that allows you to set preferences like what page or how dark the print ink. Down near the left hand bottom there is a part that says Page Handling and allows you to choose Copies, and Page Scaling… this is the place you can choose Booklet. You need to have the page set to Landscape – but that’s it. And if you have the Divider, and all the pages for each section in one document saved as To Do Lists; or Recipes, or Calendar… whatever the Divider is… then it will print them all in order back to back! Unless you want a blank page in between each one for Notes, then just go to the end of whatever page you want the blank page after and do ‘Control-Enter’ and it will put a blank page. Then your next page in that section will be on the ‘next page’ after the blank one. I make all my print out Lists and Organizers this way so it isn’t so hard to carry around a ‘full size sheet’ stack of paper. Staple it in the ‘fold’ middle and you have a nice small book, or punch holes and run a nice ribbon through it so you can add a page if you need to! Enjoy those ‘little 5 1/2 by 8’ Organizer Booklets! here’s an idea…just put the holes on the top of a page that needs to be full sized and fold it in half till you need to look at it. Put it in sideways in other words. You wont be able to use page protectors and it would probably necessary to trim a bit off the bottom to make room for the space you used to fit it on the rings, but you can mix and match page sizes this way. The small binder is a “half size” and 11divided by 2= 5.5! 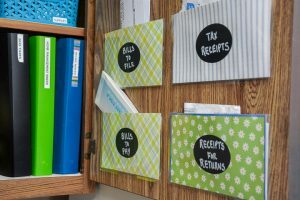 I am thinking of doing this for myself since I do like the cute small binders too. Good luck. What a sweet blessing you are going to be this month. Looking forward to it! So excited to be getting this done now, for next year! What a great idea. Thank you so much for making this so easy! I love this idea. Thank you for posting it. Being organized makes ones life so much easier!!! THANK YOU! I am so very excited! 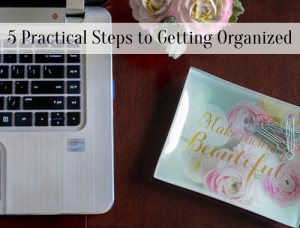 I just found your blog and I am looking forward to more of your post on organizing. 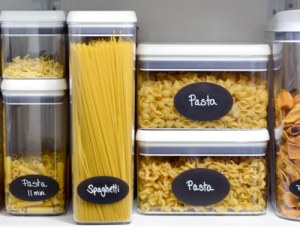 I love things to be organized. Thanks for these printables, they are so cool and will really help get my house organised. … And so pretty too. You’re welcome, Kate. I’m glad they are helping you! You’re welcome, Debra. I’m glad you like them! I’ve started working on a family binder so finding your site is truly a blessing! Thanks so much! Wow, Ginny! 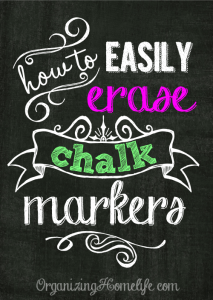 You are so generous to share these wonderful printables! I just can’t thank you enough! Making a home management binder has long been on my wish list of to do’s but I’ve never gotten around to it! Now I have no excuse! Thanks for making it so easy for me!! I can only find through day #16. Is there a way I can find the other days in your series? I just discovered this series. Thank you thank you thank you so much for these resources. Definitely make me want to spruce up my entire domestic life!!! Any printables for organizing blogging schedules? I just love your binder printables for the binder! I am making one for myself and also it will be a great gift for my daughter who is a young wife and mom! Thank you so much for all of your work! I have a question to ask you. Could you email me please at candlesbymichelle1@yahoo.com? Thank you. Thank you so much for this series. I am delighted to have found it and have placed your button on my website to let all my readers know about it too. Thanks so much for the printables! I am working on mine as well as my 2 grown children for Christmas gifts! Hi, Ginny, this is a wonderful project. This year I am making the gifts for my children and this is definitely THE GIFT for one of my daughters. Thank you. Thanks so much for the printables. The tip for the dividers about putting them in the plastic sheets and cutting out holes for the tabs. Fabulous. I think I’m going to put your financial sheets in that binder so everything is all together. Sorry about that, Amelia. I’m not sure why it’s not letting you print. Do you have the most up to date version of a pdf reader (such as adobe)? I just stumbled upon your 31 Days of Home Management and it’s just what I needed. Thanks for making and sharing! I signed up for your emails and am excited to learn some tips that I can fit into my New Years resolution of decluttering my house, mind and soul. Thank you for so genorously sharing your time and knowledge. Thank you AGAIN for all the work you’ve put into this. I can’t even imagine all the time it took you to not only make up these pages, but to explain everything. I am so glad, even though you did this a few months ago, it is still up here since I just found you and I LOVE LOVE LOVE your site. I just pinned some things and I hope others that haven’t been lucky enough to have found you yet, will find you. 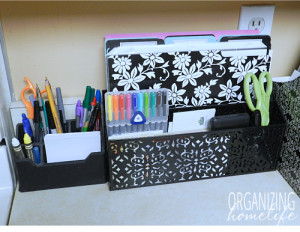 I just wanted to thank you for all of the creative and thoughtful home organizational printables. I am so excited to put my binder together and have everything in one place. What a valuable resource! Thanks so much for making them free….very generous of you. You’re welcome, Christina. I’m glad to know they will help you. Enjoy! I was so excited to see all these amazing printables. However, the download includes a trojan virus. Do you have another way to get them? Love all of these! 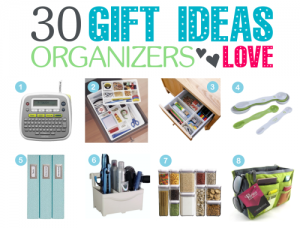 As a lover of all things organization related, I can never have enough printables! Your printables are an answer to my prayer!! These are fantastic! Thank you so much. Can’t wait to get my home in order! I am sorry if this sounds silly, but how do I down load these, lol. I know there is a big button that say download, but I was hoping that wasn’t it. I cant wait to start my binder. really thank you so much , i took what it fits me according to my age. i’ve been looking for such a planner in that style and arrangement<3. Hi Ginny! I just came across your printables via Pinterest. I was wondering if you’d mind sharing the fonts that you use. There are a couple of other pages that I’d like to create and will not be able to handle it if I cannot make them coordinate with yours! I hope this isn’t too much to ask. If so, I understand. Thank you so very much! !